Pepsi IPL 2016 live broadcasting rights for TV. List of TV channels who got the right to telecast live IPL 2016 matches across the world. The popular Indian cricket festival, Indian Premier League is just about to start. All cricket fans around the world and all the fans of India are excited to watch all the cricket action of IPL 2015 on their television sets. For fans looking to enjoy the ipl matches live at home in India, the eighth season of the Indian Premier League will be broadcast on Star as its subsidiary Novi Digital Entertainment Private Limited has got the rights for the next three IPL seasons. The rights to telecast IPL live matches on the Internet and mobile phones have also been honored to Novi Digital Entertainment Private Limited for a whopping 302 crore. This tournament has gained much popularity abroad, which was a surprise for many. Star TV network won the bid for several continents to offer IPL live transmissions, except the United Kingdom and the United States of America. ITV4 of ITV network in the UK will telecast this tournament while in the US, ESPN got the rights to telecast ipl matches live in the US. Although the players of Pakistan do not play the tournament because of differences between the two nations, but the GEO Super Channel will telecast the IPL 2016 in Pakistan. Other than television, the games will also be transmitted over the Internet via live streaming of IPL 2016. You can visit IPLT20.com and starsports.com and other sites where the games will be broadcast live for you. This season has gone one step further, you can now watch the IPL live on the phone, either over the Internet or mobile applications such as HotStar. If you are traveling and want to catch the game, don't worry you can catch the live action via mobile streaming. 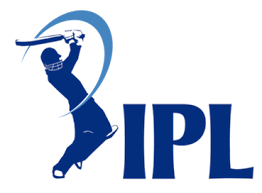 2016 Pepsi IPL Live broadcasting TV channels free to air and paid. Here is a complete list of TV channels that will broadcast IPL 2016 live, and the countries they will broadcast. The IPL-2016 is expected to begin on April 9 this year.